You will be sent to different parts of the house. Try to find where the baby is hiding. 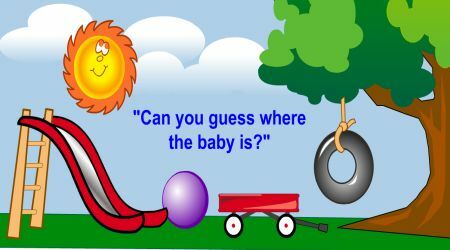 Just wait for a while and you will receive hints on where the baby might be. Just click on the place where the baby can be found to see if he or she is there. Click the arrow button to move on to the next room.